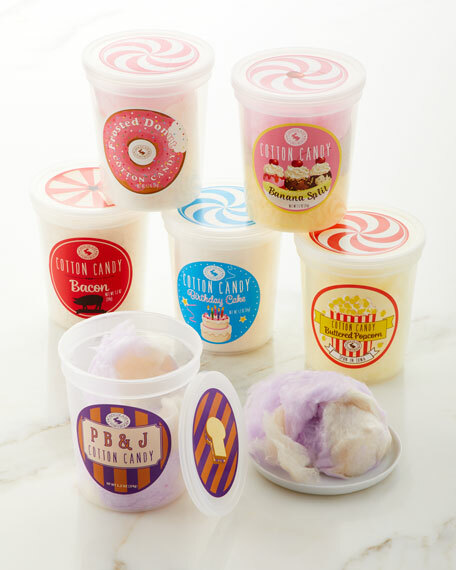 Cotton Candy Assortment Tubs in tube. Flavors include: Buttered Popcorn, Bacon, Banana Split, Frosted Donut, Peanut Butter & Jelly, and Birthday Cake. For in-store inquiries, use sku #2750894.